[S185] Property Titles. ; PROV (Public Records Office Victoria), C/T 2618-460 - William Cockburn of Upper Beaconsfield Farmer. [S185] Property Titles. ; PROV (Public Records Office Victoria), C/T 2618-460 - James Unwin of Upper Beaconsfield Farmer. [S185] Property Titles. ; PROV (Public Records Office Victoria), C/T 1114-608 - Thomas Clarendon of Beaconsfield Farmer - C/T 2618-460. [S35] Probate Records, PROV (Public Records Office Victoria), VPRS 28/P3, unit 2452; VPRS 7591/P2, unit 900. [S185] Property Titles. ; PROV (Public Records Office Victoria), C/T 1723-422 - Memo 44958 William Irving of Ballarat Road Maidstone Quarryman is registered as proprietor of the within described land as executor to whom probate of the will of Mary Ann Irving (who died on the 31st Dec 1908) was granted 27th Feb 1909. [S185] Property Titles. ; PROV (Public Records Office Victoria), C/T 1634-326 - Memo 44958 William Irving of Ballarat Road Maidstone Quarryman is registered as proprietor of the within described land as executor to whom probate of the will of Mary Ann Irving (who died on the 31st Dec 1908) was granted 27th Feb 1909. [S185] Property Titles. ; PROV (Public Records Office Victoria), C/T 1723-422 - Red Ink No 4273019. The above named William Irving having died, Letters of Administration with the will annexed of the unadministered estate of Thomas Irving who died on 22nd August 1896 have been granted to Edward Aubrey Sheeran of 5 Shaftesbury Avenue Malvern a Lieutenant-Colonel in the Australian Military Forces. [S185] Property Titles. ; PROV (Public Records Office Victoria), C/T 1634-326 - Red Ink No 4273017. The above named William Irving having died, Letters of Administration with the will annexed of the unadministered estate of Thomas Irving who died on 22nd August 1896 have been granted to Edward Aubrey Sheeran of 5 Shaftesbury Avenue Malvern a Lieutenant-Colonel in the Australian Military Forces. [S185] Property Titles. ; PROV (Public Records Office Victoria), C/T 1634-326 - Edwin George Hamilton of "Springfield" Upper Beaconsfield Orchard Labourer. [S185] Property Titles. ; PROV (Public Records Office Victoria), C/T 1723-422 - Florence Edith Haldane of 12 Bartlett Street Preston Married Woman. 1889/49. THOMAS IRVING. GEMBROOK 75 C. 19--3--35. 1878 - 1884. [S185] Property Titles. ; PROV (Public Records Office Victoria), C/T 1634-326 - Thomas Irving of Maidstone. [S185] Property Titles. ; PROV (Public Records Office Victoria), C/T 1723-422 - Thomas Irving of Footscray Gentleman as Executor of the will of John Irving late of Maidstone Tailor deceased. [S11] Newspaper - Argus 24 Aug 1896, p1. [S185] Property Titles. ; PROV (Public Records Office Victoria), C/T 1723-422 - Memo 19216 - Mary Ann Irving of Jackson Street Maidstone Widow is registered as proprietor of the within described land as executrix to whom probate of the will of Thomas Irving who died 22 Aug 1896 was granted 9th Dec 1896. [S185] Property Titles. ; PROV (Public Records Office Victoria), C/T 1634-326 - Memo 19216 - Mary Ann Irving of Jackson Street Maidstone Widow is registered as proprietor of the within described land as executrix to whom probate of the will of Thomas Irving who died 22 Aug 1896 was granted 9th Dec 1896. [S65] Ancestry - various indices, 1841 census: Class: HO107; Piece: 563; Book: 6; Civil Parish: Liverpool; County: Lancashire; Enumeration District: 12; Folio: 4; Page: 1; Line: 2; GSU roll: 438715. [S65] Ancestry - various indices, 1851 census: Class: HO107; Piece: 2192; Folio: 618; Page: 44;. Death-Notice* 2 Jan 1909 IRVING.—On the 31st December at No 18 Federal street, Footscray, Mary Ann, relict of the late Thomas Irving, of Maidstone, and beloved mother of William, Thomas, John, Louisa, and Alice Irving also Mrs A Sheeran Newport, and Mrs M Gomarsall, Richmond aged 77 years. no title number given for Gembrook land. [S11] Newspaper - Argus 2 Jan 1909, p9. Death-Notice* 6 Mar 1899 The Friends of the late Mr. GEORGE PEARSON, are informed that his remains will be interred in the St Kilda General Cemetery. The funeral to move from his late residence, "Tinian," No. 90 Lennox-street, Richmond, THIS DAY (Monday), the 6th inst., at 11 o'clock a.m.
13 Jan 1894, BURGLARIES. The premises of Mr George Pearson, wine and spirit merchant and bottler, Lennox street, Richmond, were burglariously entered on Wednesday morning at about 3 o'clock. 769/49 GEORGE PEARSON PAKENHAM 34 19--0--11. 1877 - 1882. [S16] Newspaper - The Age The Age (Melbourne, Vic. : 1854 - 1954), Mon 6 Mar 1899, p8. [S11] Newspaper - Argus The Argus (Melbourne, Vic. : 1848 - 1957), Mon 6 Mar 1899, p1. [S14] Newspaper - Weekly Times (Melbourne, Vic. : 1869 - 1954), Sat 8 Apr 1882, p11. [S14] Newspaper - Weekly Times (Melbourne, Vic. : 1869 - 1954), Sat 27 Feb 1892, p3. [S11] Newspaper - Argus The Argus (Melbourne, Vic. : 1848 - 1957), Sat 13 Jan 1894, p12. 3 Dec 1910, SOUTH DEVON RAM, WINTLE'S NO. 7 OF 1908. [Image]. Winner of First Prize at the Royal Show at Liverpool this year. Bred and exhibited by Mr. F. J. Wintle, Keynedon Barton, King-bridge. FOLLOWING investigations by Detective Howard, of Dandenong, and Constable Briant, of Berwick, into the circumstances surrounding the destruction of a house by fire at Upper Beaconsfield recently, John Edwin Wintle, 42, of Dewhurst, was arrested and charged with having unlawfully and maliciously set fire to a house with intent to injure the property of Ivy Helwig Koch. JOHN EDWIN WINTLE, 42, of Dewhurst, near Upper Beaconsfield, who was committed for trial by the Berwick Court recently on a charge of arson at Upper Beaconsfield, was found not guilty by a jury at the Melbourne General Sessions, and acquitted. [S35] Probate Records, PROV (Public Records Office Victoria), VPRS 28/P11, unit 58; VPRS 7591/P7, unit 12. [S33] Australian Government: http://www.naa.gov.au/collection/search/index.aspx, Labour Corps. [S65] Ancestry - various indices, 1901 census & Marriage Index. [S185] Property Titles. ; PROV (Public Records Office Victoria), C/T 5582-254 - John Edwin Wintle of Upper Beaconsfield Farmer - C/T 6189-731 (Caveat lodged 25 Jan 1935). [S185] Property Titles. ; PROV (Public Records Office Victoria), C/T 6189-731 - William Ernest Bolger of 14 Normanby Street Middle Brighton Contractor - Caveat lodged 30 Jun 1938. [S83] Online index to the UK census. [S101] Electoral Roll for Australia, 1903 - 1980 "1936 + 1942 (gone 1954)." [S13] Newspaper - Herald Sun "Chronicle (Adelaide), 3 Dec 1910, p10 - copied from "Mark Lane Express"
This ram must have belonged to a relative of J E Wintle, as he named his Dewhurst property after this location in Devon." [S188] Newspaper - Berwick County Times / The Times "8 Feb 1935." [S11] Newspaper - Argus 7 Jan 1938, p16: STRONG REQUEST FOR PRIME MUTTON. GENERAL EXPORT DEMAND WEAKER IN TREND. [S11] Newspaper - Argus 23 Mar 1938, p11. [S218] Newspaper - The Dandenong Journal (1927-1954) "The Dandenong Journal (Vic. : 1927 - 1954), Wed 4 Jun 1941, p15." Death-Notice 10 Sep 1908 ILLINGWORTH.-The Friends of the late Mr. FREDERICK ILLLINGWORTH are respectfully invited to follow his remains to the Melbourne General Cemetery. The funeral is appointed to move from his residence, Wilson-street, Middle Brighton, THIS DAY (Thursday, 10th), at half-past 11, arriving at cemetery about half-past 1 o'clock. 19 Dec 1903, AN OLD-TIME INSOLVENCY. RELEASE OF ESTATE. Memories of the land boom were brought up in the Insolvency Court yesterday, when application was made for the release of the estate of Frederick Illingworth. ILLINGWORTH, FREDERICK (1844-1908), speculator and politician, was born on 24 September 1844 at Horton, Yorkshire, England, son of James Illingworth, woolcomber, and his wife Sarah, née Irving. He migrated to Victoria with his parents in 1848 and as a youth worked in the ironmongery trade in Melbourne and Brighton. There he developed what became a lifelong advocacy of the temperance movement. He married Elizabeth Tarry at Carlton on 5 September 1867; they had one son and one daughter. In the late 1870s he became an estate agent in partnership with John R. Hoskins, a former mayor of Bendigo, and prospered enough to acquire a pastoral property at Yalook. Bad seasons ruined him and in 1883 he opened an ironmongery business, specializing in electroplated goods, in Melbourne. In 1888, with support from his fellow teetotaller James Munro, Illingworth became a founder and major shareholder in the Centennial Land Bank. Having purchased suburban land at inflated prices and relied on further inflation to maintain profits, the bank was in serious difficulties when land values collapsed at the end of 1890. Illingworth had also been indulging in heavy private borrowing for speculation and by early 1891 his personal liabilities were estimated at £283,000. A member of the Legislative Council for Northern Province from July 1889, he obtained parliamentary leave of absence for a business trip to Europe in March 1890. On his return in November he settled in Western Australia as a land and estate agent; his council seat was declared vacant in 1891. The liquidation of his assets produced £600 to meet debts of nearly £300,000 but it was not until 1897 that a Melbourne court order resulted in his appearance before the Western Australian Bankruptcy Court. In December 1903 his remaining creditors agreed to release him from sequestration. None of this prevented him from pursuing an active and prominent career in Western Australian politics. Making his way to the Murchison goldfield, Illingworth invested in several mines, including the Rose Pearl at Mount Magnet. On 18 November 1896 in Adelaide he married Jane McGregor; they had no children. In July 1894 he had been elected to the Legislative Assembly as member for Nannine. When the constituency was subdivided he represented Central Murchison from June 1897 and Cue from April 1901. He soon made a reputation as a tenacious if sometimes prolix critic of Sir John Forrest's government, specializing in financial and constitutional questions. 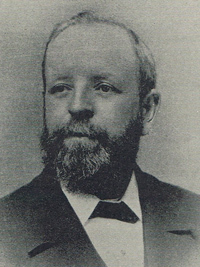 When George Leake resigned his seat in parliament in August 1900 Illingworth replaced him as leader of the Opposition and almost immediately moved a motion of no confidence in Forrest's government. It was lost by sixteen votes to twenty-two, but was by far the strongest challenge to Forrest until then. Following Forrest's departure to Federal politics his party lost office at the 1901 election. Illingworth was invited to form a ministry but stood down in favour of Leake, serving in his two cabinets from May to November 1901 and December 1901 to June 1902 as colonial treasurer and colonial secretary. His only budget, an optimistic performance, summarized in the slogan, 'Go forward; go on and possess the land', earned praise from his old opponent Forrest. At odds with his colleagues over railway administration Illingworth was passed over for the acting premiership when Leake fell fatally ill in June 1902. The new premier (Sir) Walter James excluded him from the ministry. In December 1903 he became chairman of committees, but lost his seat to a Labor candidate in June 1904. He was reappointed chairman in November 1905 after becoming member for West Perth, but resigned his office and his seat because of ill health in August 1907. Despite allegations that, while treasurer, he had authorized the loan of government trust funds to a developer who was dummying for him, the Western Australian government granted him £1000 on the ground that the Victorian proceedings had almost ruined him. While Illingworth went to Melbourne, the auditor-general inquired into the charges but no action was taken against him before he died at Brighton, Melbourne, of arteriosclerotic heart disease on 8 September 1908. He was buried in Melbourne general cemetery with Church of Christ forms. [S11] Newspaper - Argus 7 Sep 1867, p4. Land File 176/49 (1880 map). 1903/49 FREDERICK ILLINGWORTH PAKENHAM 140 19--2--30. 1877 - 1881. [S185] Property Titles. ; PROV (Public Records Office Victoria), C/T 2534-683 - William Edwin Falla Libby of Beaconsfield Farmer. [S185] Property Titles. ; PROV (Public Records Office Victoria), C/T 1216-145 - Frederick Illingworth of Swanston Street Melbourne Ironmonger. [S185] Property Titles. ; PROV (Public Records Office Victoria), C/T 1154-735 - Frederick Illingworth of Swanston Street Melbourne Ironmonger. [S81] Land Records, Parish Maps & Council Rate Books. ; PROV (Public Records Office Victoria), C/T 2031-151 - Caveat No 17747 lodged 12 Nov 1888 - lapsed 29 Mar 1891. [S185] Property Titles. ; PROV (Public Records Office Victoria), C/T 1154-735 + C/T 1216-145 - Mortgage No 108890. Discharged 4 Jul 1890. And land transferred. [S185] Property Titles. ; PROV (Public Records Office Victoria), C/T 1154-735 - The Bank of South Australia Limited. - C/T 2277-291. [S185] Property Titles. ; PROV (Public Records Office Victoria), C/T 1216-145 - The Bank of South Australia Limited - C/T 2277-294. [S11] Newspaper - Argus 9 Sep 1908, p1. [S11] Newspaper - Argus 10 Sep 1908, p1. VPRS 28/ P2 unit 871, item 109/877. [S11] Newspaper - Argus 19 Dec 1903, p19. [S11] Newspaper - Argus The Argus (Melbourne, Vic. : 1848 - 1957), Thu 29 Dec 1927, p1. [S55] Adb online, online http://adbonline.anu.edu.au/adbonline.htm, Select Bibliography: W. B. Kimberley (compiler), History of West Australia (Melb, 1897); P. W. Thiel & Co., Twentieth Century Impressions of Western Australia (Perth, 1901); M Cannon, The Land Boomers (Melb, 1966); Parliamentary Debates (Western Australia), 1907, p 207, 514; Table Talk (Melbourne), 20 June 1901; Truth (Melbourne), 18 July 1903; West Australian, 28 Oct 1905. Print Publication Details: G. C. Bolton, 'Illingworth, Frederick (1844 - 1908)', Australian Dictionary of Biography, Volume 9, Melbourne University Press, 1983, pp 428-429. [S11] Newspaper - Argus 5 Feb 1896, p1. Yesterday was a memorable day for Mr and Mrs A E Illingworth, of Brewster st, Essendon. It was their golden wedding anniversary, and it also marked the completion by Mr Illingworth of 50 years as a minister of the Church of Christ. Mr and Mrs Illingworth were married on February 18, 1891, at the Fitzroy Tabernacle, which has since been vacated and a new Church of Christ erected in its place. As a minister of the Church of Christ Mr Illingworth has spent 20 years in Victoria, 17 years in New South Wales, eight in Western Australia and five in South Australia. He has been president of the Churches of Christ Conference in each of those States as well as president of the Federal conference. He has also filled the office of president of the Victorian Council of Churches. Mr Illingworth came from Adelaide to Essendon Church of Christ, Buckley st, four and a half years ago. The congregation with the church executive committee, arranged a thanksgiving service in the Buckley st church last night, at which Mr and Mrs Illingworth spoke. A presentation was made to them to mark the occasion. [S11] Newspaper - Argus 17 Oct 1942, p2. [S11] Newspaper - Argus 19 Feb 1941, p7. Probate (Will)* 172/335. Alice R E ILLINGWORTH Date of grant: 12 Jul 1920; Date of death: 10 Jun 1911; Occupation: Spinster; Residence: Katoomba. 4 Feb 1899, FIRE AT FREMANTLE. WAREHOUSE DESTROYED. At about five minutes before 11 o'clock on Feb. 3, a young man named Rowland Long, who resides in one of a terrace of houses in Packenham-street, Fremantle, on the south side of High-street, observed flames issuing from an arched right-of-way in a building occupied by Mr. Ben. Fysh, the agent for the Euroa Butter and Ice Factory, on the opposite side of the street. He rushed to the fire station, and gave the alarm. The waterpolice communicated with the watchman at No. 1 Fire station, but the general alarm had already been sounded by a boy named George Spence. The horse-brake was speedily got out, and dispatched to the scene of the fire, and was immediately afterwards followed by the hose-reel from No. 2 station. Three lines of hose were run out from plugs at the intersection of Packenham and Nairne and Collie streets. The front door of the building was burst open, and the fire was found to be burning fiercely in the midst of large quantities of corks, staves, hops, bacon, and cases of lime-juice. Though the pressure of water was excellent, the three streams directed on to the flames were for a time insufficient to cope with the conflagration, which had evidently originated in a corner of the office, and everything in the front portion of the warehouse, which was constructed of brick, was destroyed. The flames rapidly spread to the rear portion of the premises, which was constructed of galvanised iron. This danger was met by another line of hose being run in from Marine-terrace, through the premises facing Henry-street, and, with the assistance of one of the lines of hose from Packenham-street, all danger of the flames spreading was speedily checked. The firemen, under Superintendent Fraser and Fireman Hartley, combatted the flames until midnight before they could assure themselves that the water had subdued them. The front portion of the building was gutted, but very little damage was done to the rear portion, by reason of the work performed by the members of the brigade. A perfect deluge of water was poured into the shop, and the passage into Packenham-street became a rushing stream of water several inches deep, on which innumerable corks, with large quantities of hops, were floating out into the street. VPRS 7591/ P2 unit 625, item 172/335. [S110] Electoral Roll for Australia, 1910. Death-Notice* 6 Feb 1884 ILLINGWORTH -On the 5th inst, at the residence of her son, Dorcas street west, South Melbourne Mrs Jas Illingworth, the beloved mother of Frederick Illingworth, of South Melbourne, and of Mrs J Blumfield, of Newmarket, aged 59 years. "Gone to be with Jesus, which is far better." 16 Jun 1906, MR. CHARLES EDWARD ILLINGWORTH. The funeral took place in the Methodist portion of the Fremantle Cemetery of Mr. Charles Edward Illingworth, who was for many years a guard on the Western Australian Government railways. The obsequies were largely attended by railway employees of Perth and Fremantle, among whom the deceased was very popular. The chief mourners were Mrs. Illingworth (widow), Messrs. Arthur, James, and Charles Illingworth (sons), Mr. F. Illingworth, M.L.A. (brother), Mrs. Johnston (sister), and Messrs. Joseph Blumfield and George Knight (nephews). [S1] Registry of Births Deaths and Marriages Pioneer Index Victoria 1836-1888 "another registration 1854/3015 Moorabbin." [S25] School Records - Beaconsfield North 2560: father/guardian Charles Illingworth, farmer, previous schooling Footscray. [S14] Newspaper - The West Australian (Perth, WA : 1879 - 1954), Sat 9 Jun 1906, p1. [S38] Index of burials in the cemetery of http://www2.mcb.wa.gov.au/NameSearch/details.php,. [S14] Newspaper - Western Mail (Perth, WA : 1885 - 1954), Sat 16 Jun 1906, p17. Marriage* a 1898 Spouse: Alfred Johnston. No marriage found. [S80] Ancestry - Family Tree, The Webster Family Tree - Owner: paulvwebster. [S11] Newspaper - Argus 26 Jun 1869, p4. [S65] Ancestry - various indices, Sands Directory 1898. [S14] Newspaper - The West Australian (Perth, WA : 1879 - 1954), Thu 3 Oct 1912, p1. [S11] Newspaper - Argus 25 Feb 1893, p5 (this is only part of the advertisement).